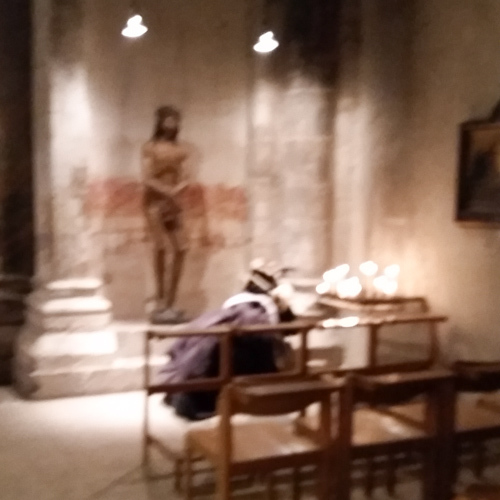 From Great Saint Martin church in Cologne. Hear me, coastlands, listen, distant peoples. Before birth the LORD called me, from my mother’s womb he gave me my name. He made my mouth like a sharp-edged sword, concealed me, shielded by his hand. He made me a sharpened arrow, in his quiver he hid me. He said to me, You are my servant, in you, Israel, I show my glory. Yet my right is with the LORD, my recompense is with my God. I am honored in the sight of the LORD, and my God is now my strength! 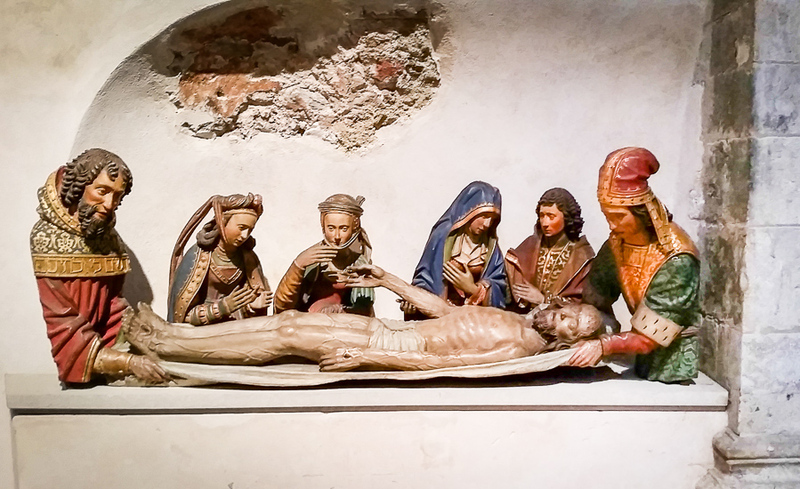 This entry was posted in Lent and tagged Cologne, entombment, Great Saint Martin, Lent, polychrome on March 22, 2016 by frjfkauffmann. 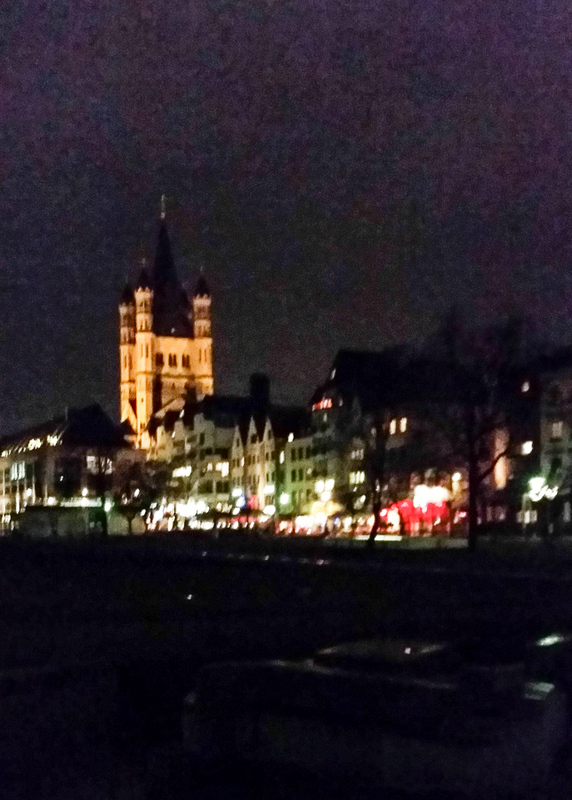 In the late afternoon I visited the church of Great Saint Martin which dominates the cityscape from the Rhine River. It is stunning at night. The archaeological excavation under the church reveals remnants of the old Roman city of the 1st century AD. The church was badly damaged in the bombings of the old city and so the restoration was only completed in 1985. 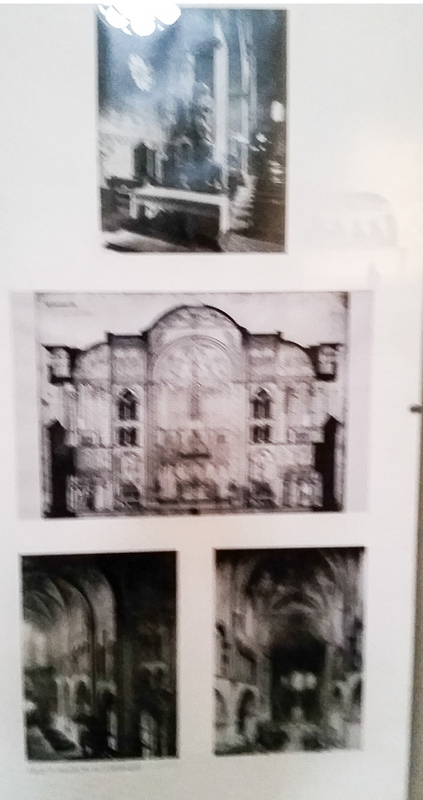 The photos may not be so clear (you can click to enlarge) but one can get an appreciation of the magnitude of the reconstruction of all these churches that were badly damaged when Cologne was bombed. 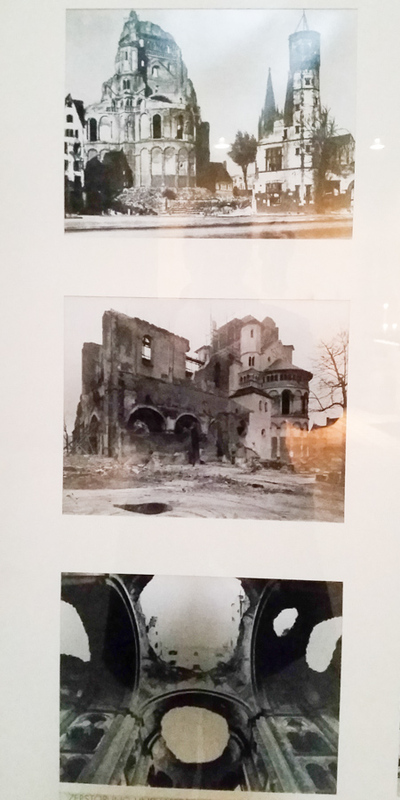 The whole old historical center was leveled and only the cathedral withstood the bombing. When you look closely you can see how they took what ever architectural elements they could find and fit them into a new structure that was modeled on the original. So much liturgical art went up in flames however what pieces could be salvaged were beautifully placed. The church prior to the bombing was lavishly ornamented however the restoration was faithful to the original structure and reveals a simple structure of noble simplicity with beautifully positioned pieces of art. 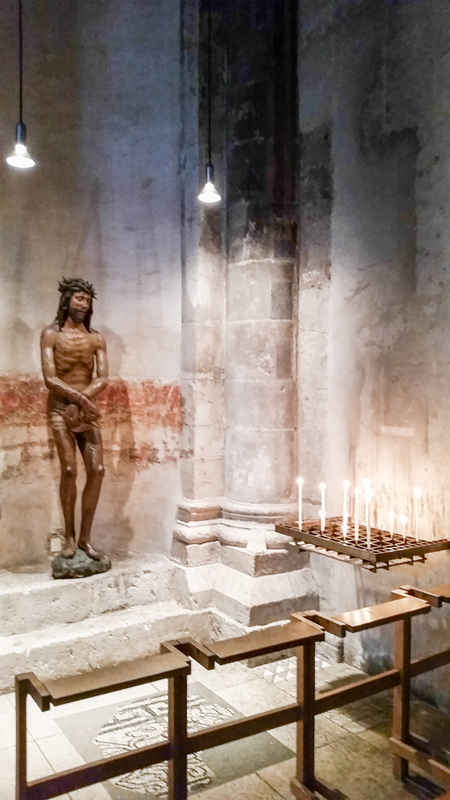 As I was caught up in imagining the devotion and meticulous care that went into the restoration of this church that spans 40 years, I noticed that it had been given to the Monastic Community of Jerusalem that was founded in 1975. I knew I had to return to Vespers at 6 pm. 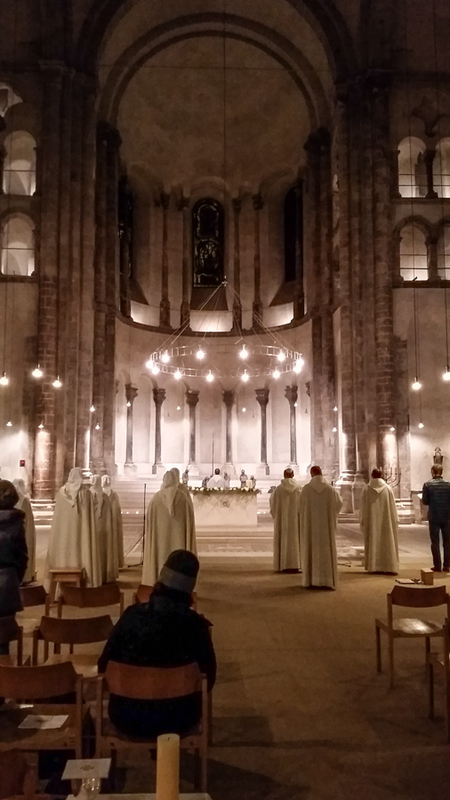 They chant Vespers in four part harmony that is akin to eastern liturgy so it touches the soul deeply. I returned that evening and the room was billowing with incense with a ritual movement of bold simplicity that befits the beautiful house of worship. 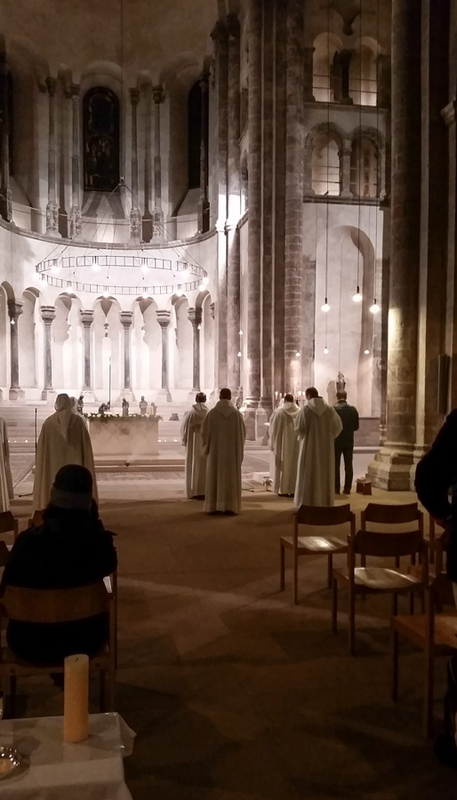 About ten minutes into the Vespers the side door opened and a father of middle age wheeled in his son who was in his early twenties. The young man was both physically and intellectually disabled. I watched the father so tenderly take his son out of the wheelchair and assist him to the chair near the altar. This was not easy. I watched the movement and found it as moving as the liturgical ritual I was experiencing because both spoke of the tenderness of God. My eyes welled up again and again. This was truly an evening of beauty. He has borne our burden. 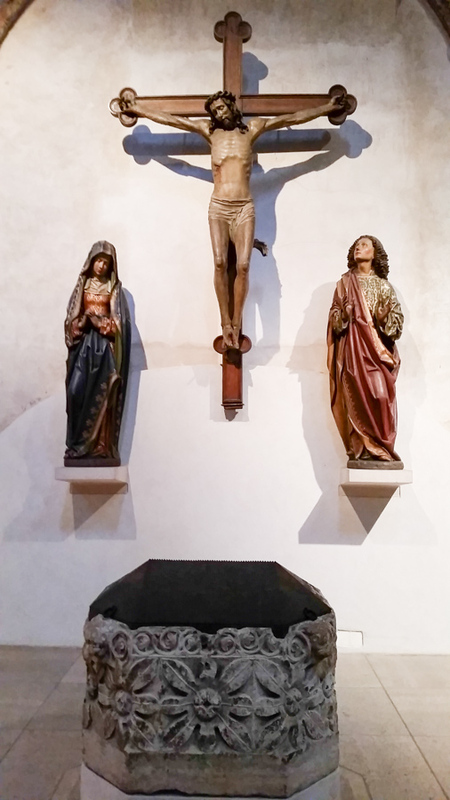 The image of Jesus salvaged from the bombings proclaims the faith that God is with us and that God bears the burdens we have received with us, so we can bear those burdens with dignity. 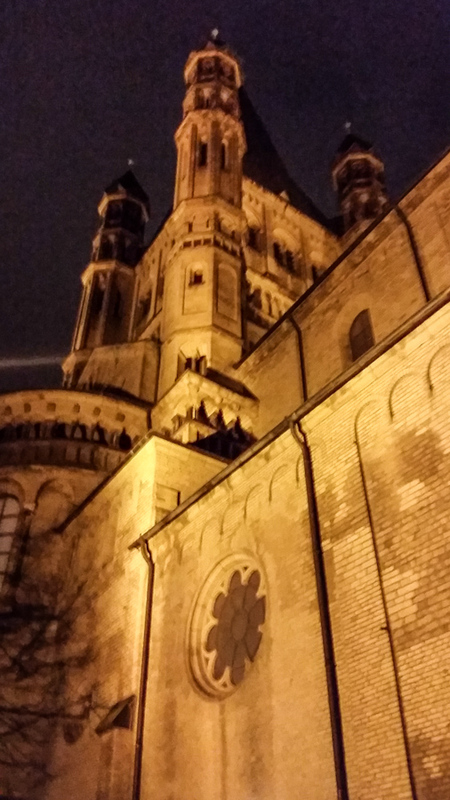 This entry was posted in Christianity, Europe, Faith, Travel and tagged Cologne, Great Saint Martin, Vespers on December 24, 2015 by frjfkauffmann.